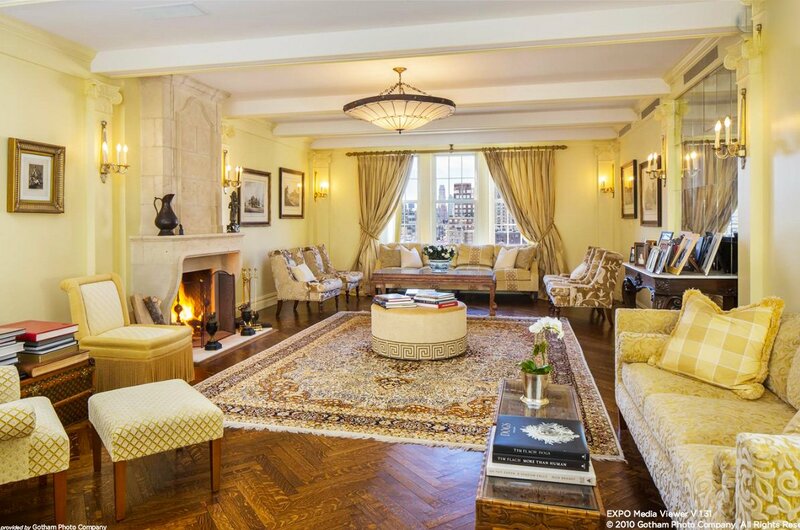 The impressive penthouse at 1185 Park Avenue is back on the market. 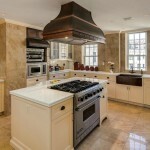 The palatial estate was listed last year, asking $27.5 million. 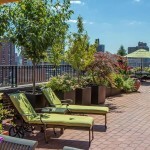 However, buyers apparently felt that price was too expensive for a sprawling five-bedroom duplex with an astounding 2,850-square-foot wrap-around terrace. 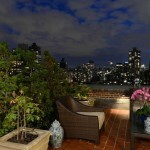 So, the Carnegie Hill prewar pad has returned with a $2.5 million discount and high hopes that history won’t repeat itself. We’re not exaggerating when we say you could get lost in this vast estate. 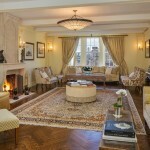 The home features one of 1185 Park Avenue’s characteristic elaborate layouts. 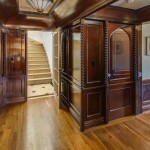 At the center is an elegant entrance gallery accessed by a private elevator landing. 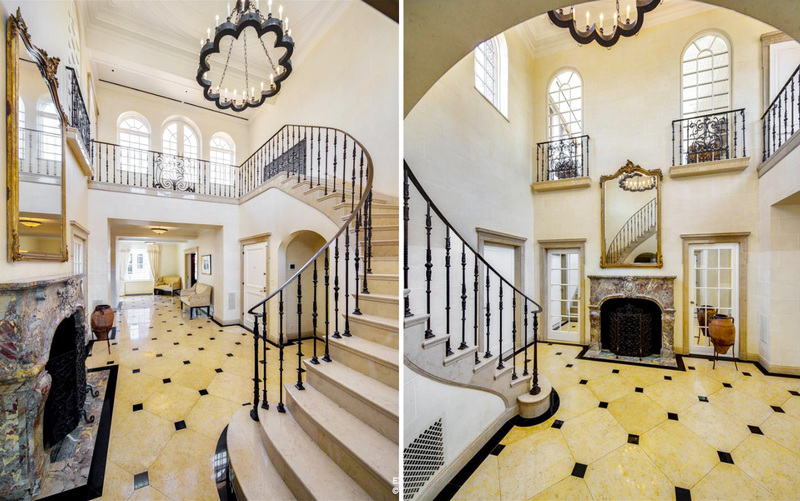 The grand foyer has a sweeping marble staircase and a 24-foot domed ceiling. 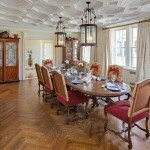 Surrounding it are all the major rooms, including a spacious formal dining room with original coffered ceilings and a custom wine cellar with a 700-bottle capacity. 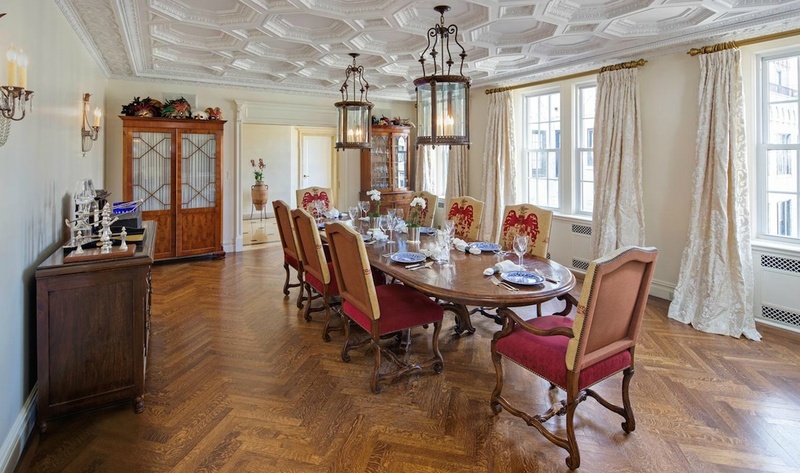 In the library a plaster ceiling offsets original wood paneling and pegged hardwood floors. The space also has built-ins and a fireplace. 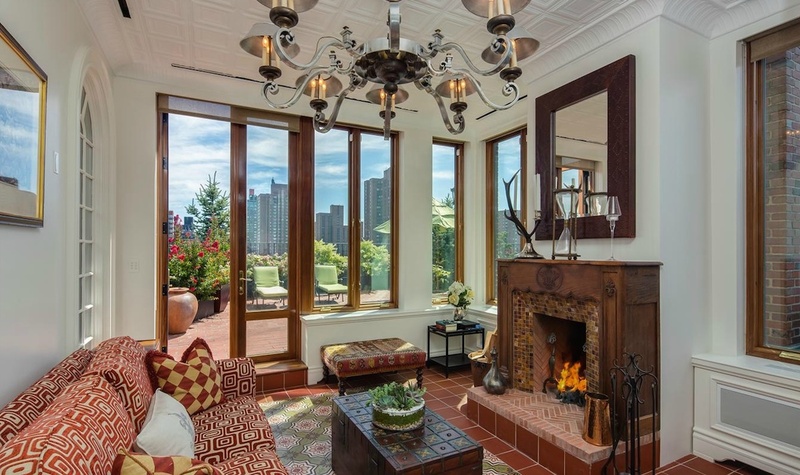 A second fireplace resides in the stately living room, which, like every other room in the home, boasts stunning city views. 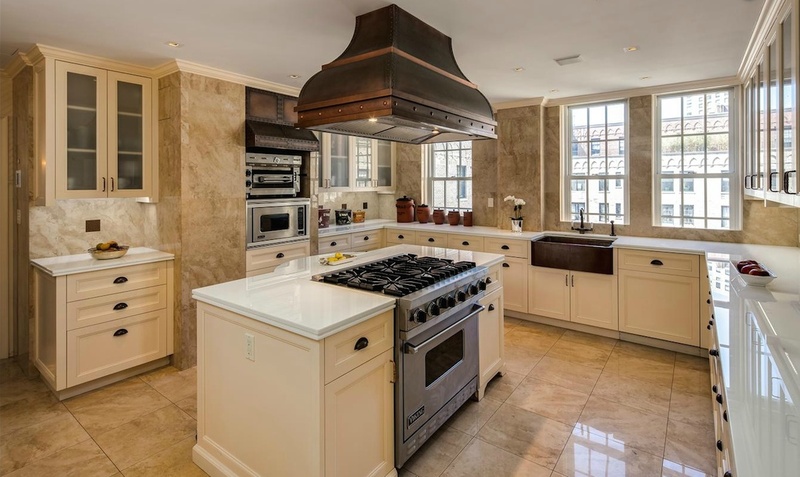 A gourmet kitchen with top-of-the-line appliances sits behind the dining room and features custom cabinetry, a service entrance, and an adjoining breakfast nook with stone floors and more built-ins. The remarkable master suite has more than enough storage with a mahogany dressing room that contains a walk-in closet in addition to two other walk-in closets in the actual bedroom. 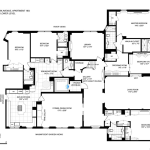 It also has a study/fifth bedroom with a Murphy bed and separate his and her bathrooms. 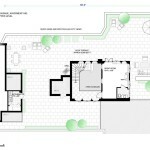 The home’s additional three bedrooms each have renovated en suites. If indoor/outdoor living is the new trend, this regal residence has it mastered. Up the marble staircase the upper gallery sits surrounded by six Palladian windows. The wrap-around terrace is simply splendid with a windowed “sky room” equipped with French doors, a powder room and a wood-burning fireplace for year-round enjoyment. The rest of the roof deck features a kitchen, city and river views, and plenty of space for lounging, entertaining, and al fresco dining.